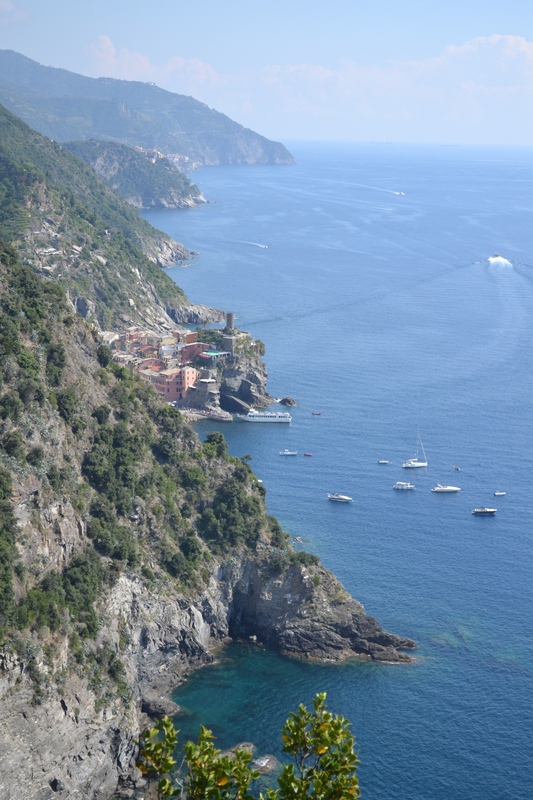 Our first taste of Italy was on the drive between Nice and La Spezia, which was to be our base for a visit to the Cinque Terre. As we took the coastal route we were hoping for what we had imagined would be some spectacular views, but instead we got…tunnels. Lots and lots of tunnels. 177 of them over about three hours in fact, and since a lot of them were quite long I think we literally spent about half the journey underground. 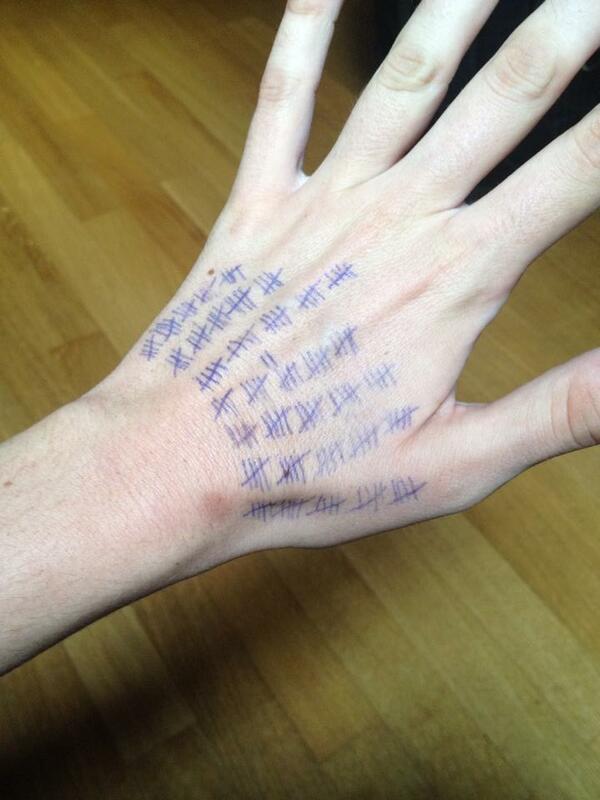 We know there were this many because B counted them along the way. Obviously the Italians weren’t content with the simple challenge of drilling 177 tunnels for a 300km stretch of road (actually 354, as each side of the road always had its own separate tunnel), because they had also opted to construct them all halfway up mountains. This in turn necessitated the building of massively high bridges to cross the spans between mountainsides and connect all the tunnels, and the end result is both ridiculous and an engineering masterpiece. The second thing we noticed after we crossed the boarder: Italians are all horrendously, abysmally bad at driving. They speed, tailgate, can’t stay in motorway lanes, pass on blind corners, run red lights, think the middle of the road constitutes a suitable car parking spot, rarely use indicators and then do the complete opposite if they ever do use them… We would even see people driving along at high speed with one hand holding a cell phone and the other being waved around while they talked, presumably driving with their knees but potentially just hoping for the best. As soon as they aren’t behind the wheel, though, the Italians are awesome. They are relaxed, welcoming, friendly, funny, and have definitely mastered the art of good living. After we arrived in La Spezia we spent the afternoon sitting under a pergola enjoying a wine, which seemed to be about all that was on the agenda for several of the hotel staff as well, and once it eventually got dark we sampled our first proper Italian cuisine: a huge plate of some sort of bolognese pasta and a bottle of local red wine, followed by some ice-cream. Everything was simple, homemade, and absolutely delicious; pretty much exactly what we’d both been hoping for. The next morning we set off to see the Cinque Terre, one of the most famous destinations in Italy and the reason we were here. There are two options for getting to get out there – by boat or by train. 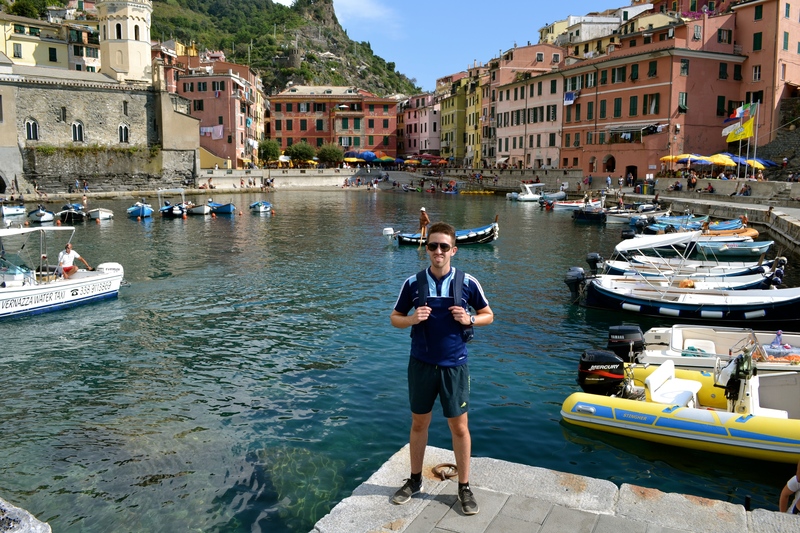 We opted to train, mostly because it got us out there about four times quicker than the boat would have, and got off at Monterosso, the furthest from La Spezia of the five towns which make up Cinque Terre. First impressions: that we had accidentally managed to catch a train to Hicksville, USA. The whole town was just filled with tourists from ‘Murica, most wearing cargo shorts and all keeping up that stupid running commentary of their present situation that every American tourist seems obliged to do, at maximum volume. 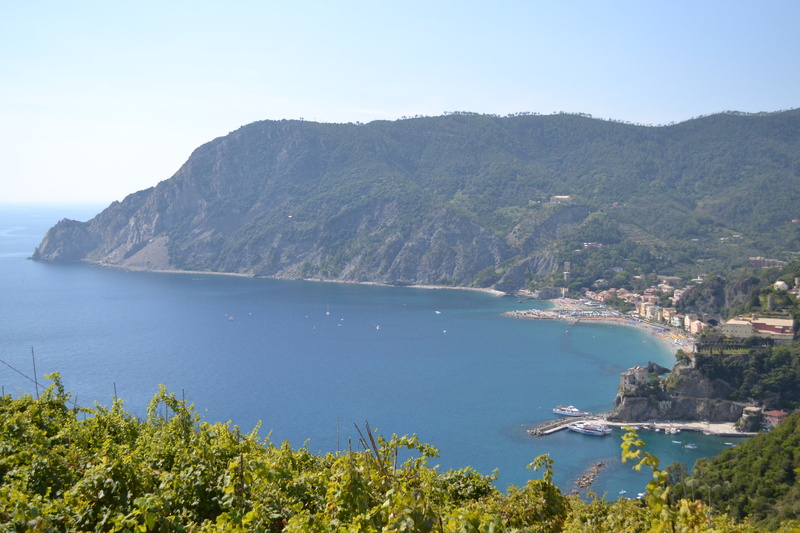 Once you get over that, though; Monterosso is beautiful. 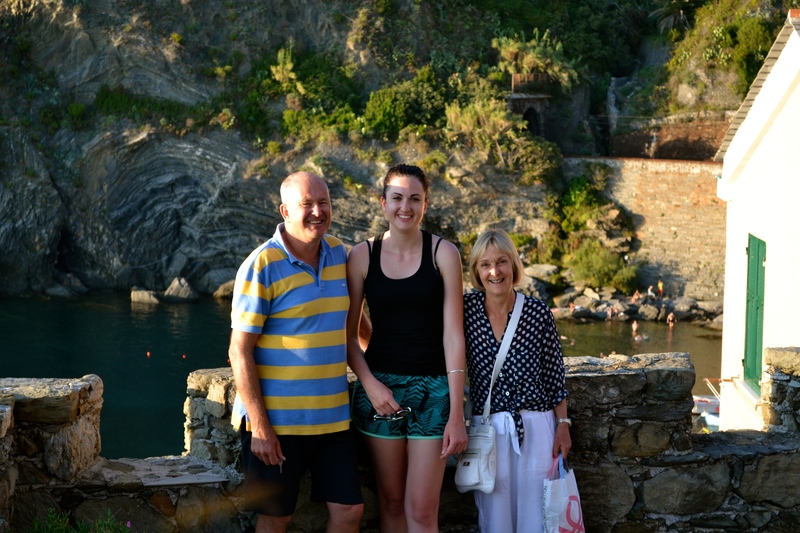 It sits between some fairly imposing cliffs and the perfect blue ocean, and being the only town in the Cinque Terre it seemed a good place to try out the water – which was just fantastic. A really nice temperature, and by far the clearest ocean water I’ve ever been in. Even after I swam out a way into deeper water (the beach drops off pretty quick) I could still see the definition of sand and rock on the bottom. Given how nice it was, we found it to be one of the weirdest things that, just like in Nice, hardly anyone at the beach ever actually goes swimming. 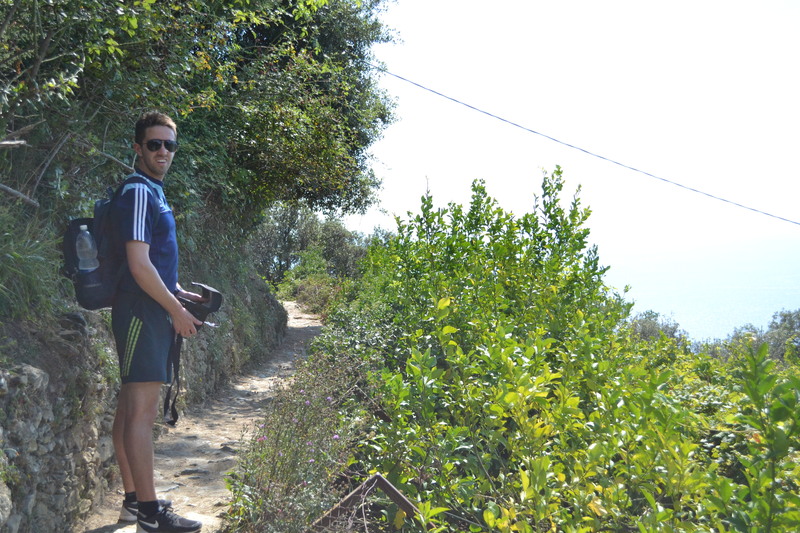 Once I’d dried off a bit (I hadn’t thought to bring a towel, or togs), we set off along the track between Monterosso and Vernazza, the next town along the coast. The walk took around an hour an a half (including many stops for photos), climbing up a couple hundred meters to cross the hill between the two towns. The path itself is actually surprisingly narrow, considering how popular it is – almost all of the way it is single file only, and whenever we met people coming the other way we’d usually have to find somewhere off the path to stand and let them pass. Obviously, the views during the entire walk were outstanding good. At first we had views looking back to Monterosso over the vineyards, near the end we got to see Vernazza as we started to descend into it (which is probably the most photographed sight in the Cinque Terre), and of course the whole time we had the ocean down to our right. We also had perfect weather, which probably helped. 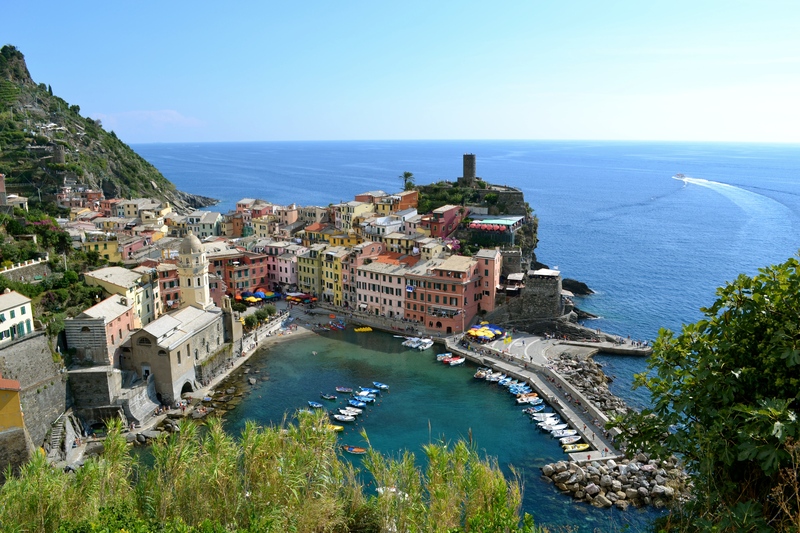 Once we made it down the hill, we spent a bit of time just checking out Vernazza. It is a very nice town to look at, and I was quite surprised to later learn that it was extensively wrecked in a huge mudslide during 2011. The local residents have definitely done a great job cleaning up since then, because you’d never know to look at the place now. 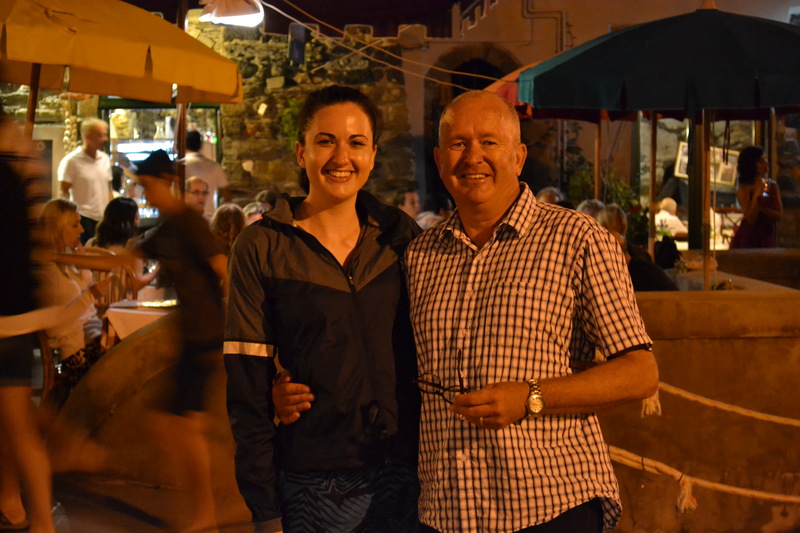 After a beer and a pizza, we got a great surprise – we caught up with Martin and Barbara (B’s Dad and stepmum) a day earlier than planned! 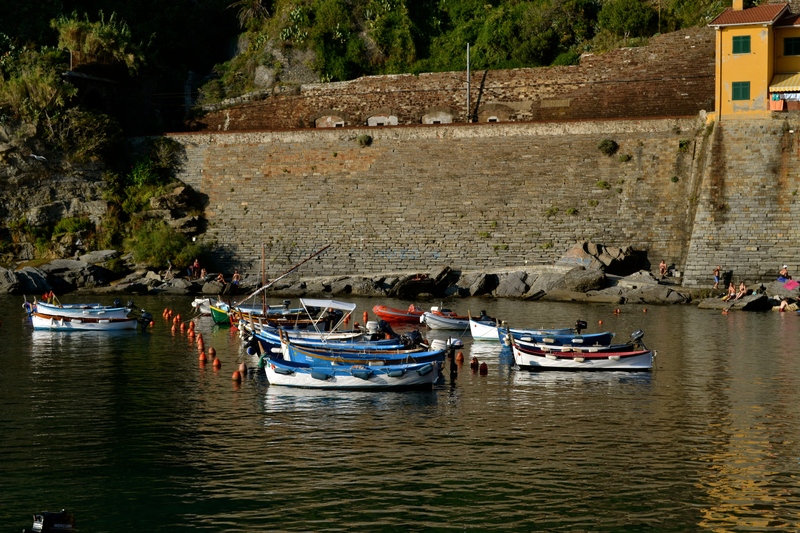 They’d been staying in Vernazza for a few days, and we hung around town long enough to catch up for dinner at the end of the day. 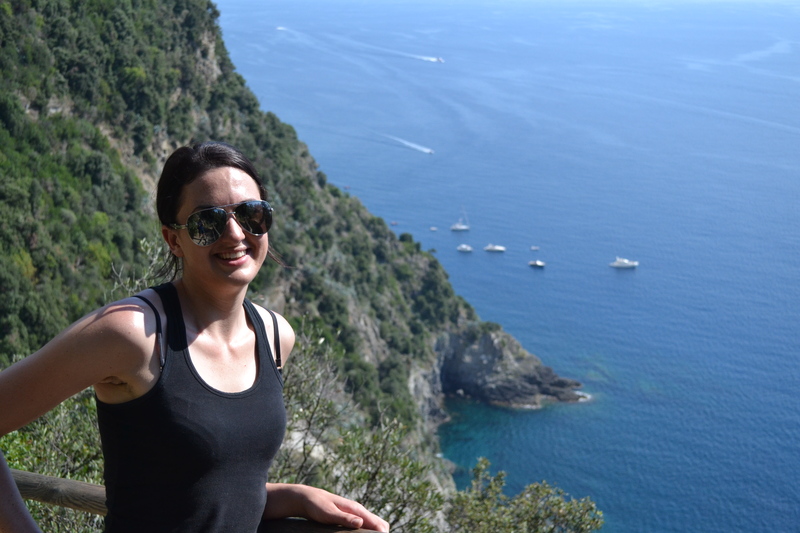 If being able to hike into a tiny seaside village tucked against the cliffs in Italy and call in to visit family isn’t an amazing thing, then I don’t know what is. We had a great time, and also got to see the comically small entrance to the apartment they’d been staying at. 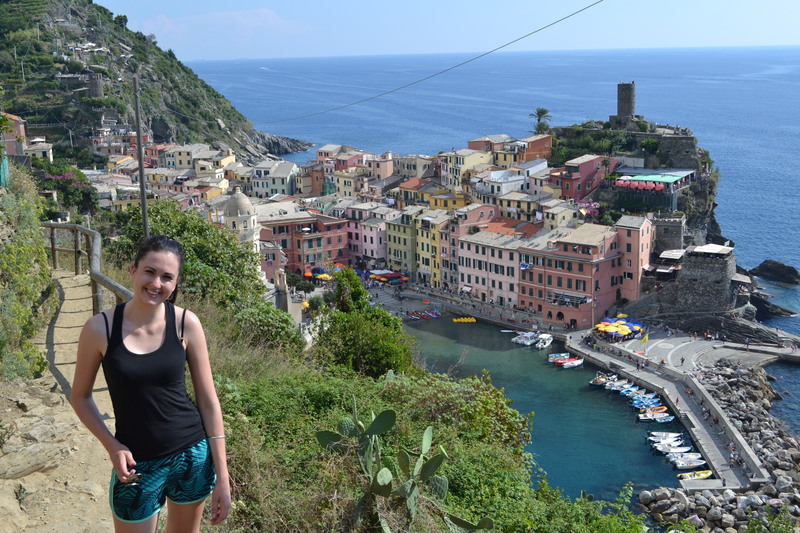 Overall Cinque Terre definitely lived up to the hype. It is an absolutely beautiful place, a great way to start off our time in Italy. 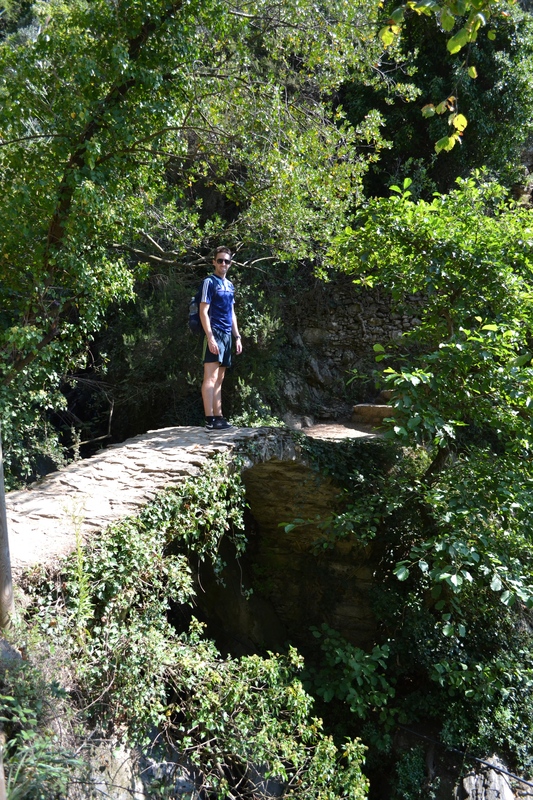 On to the next stop – Volterra, in Tuscany.